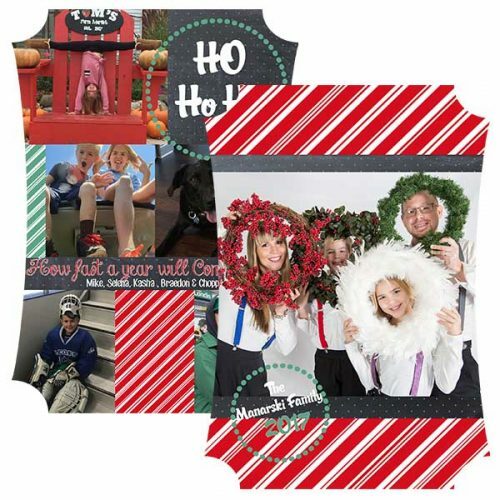 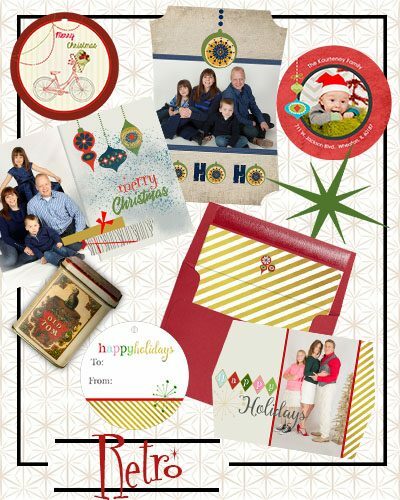 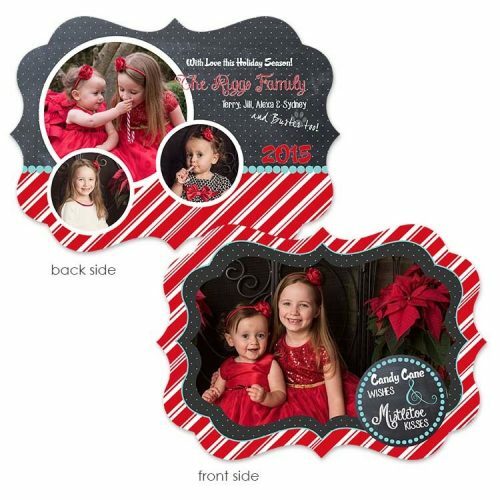 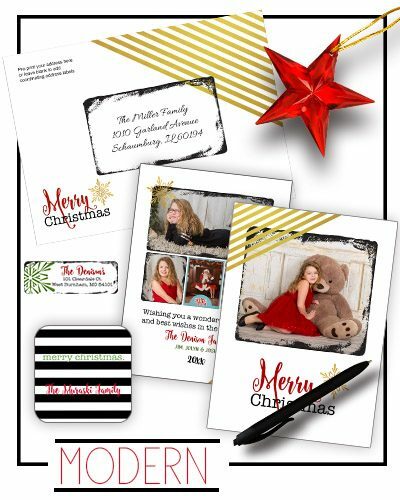 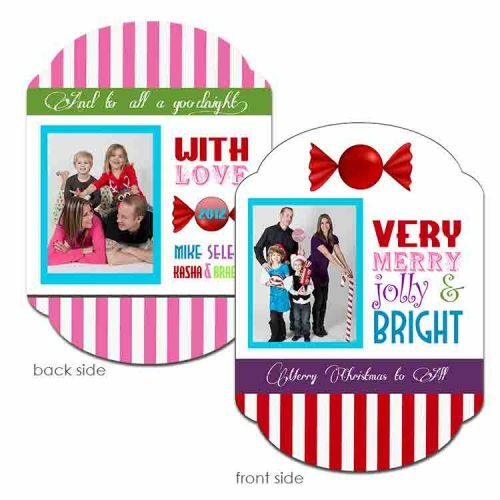 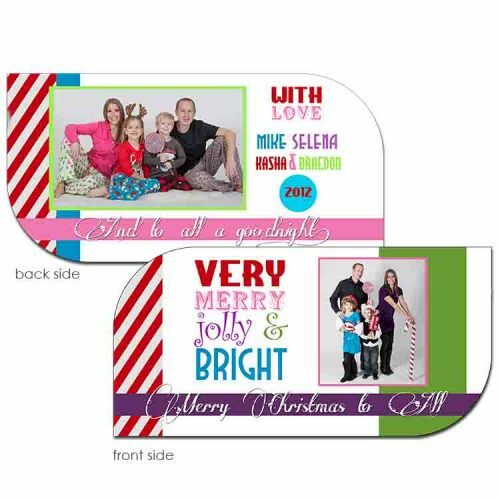 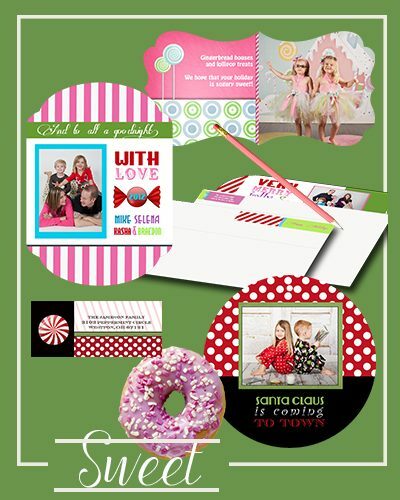 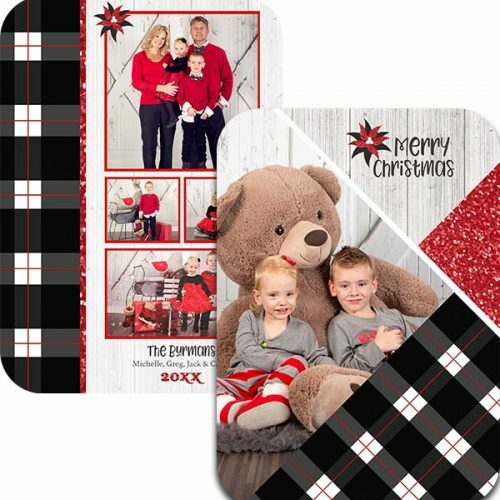 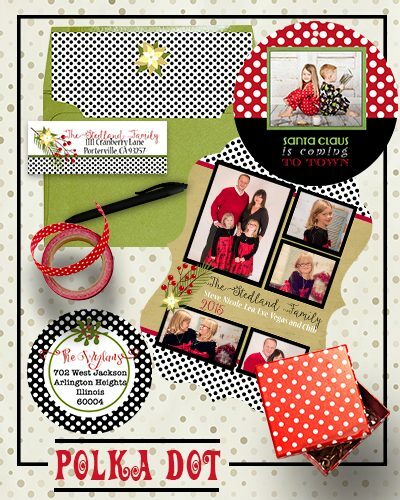 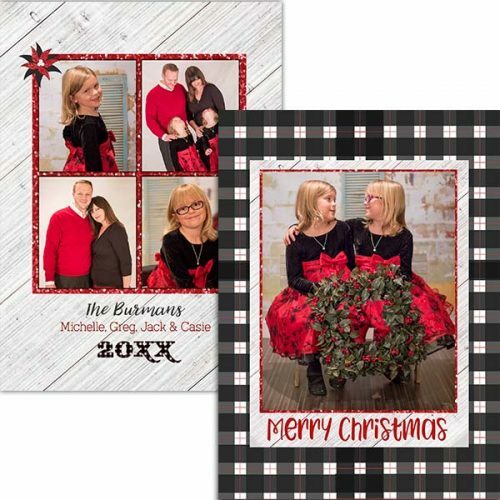 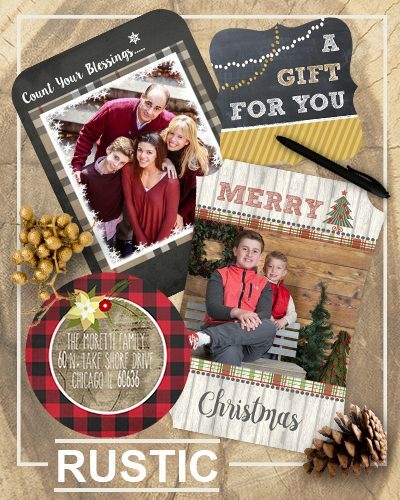 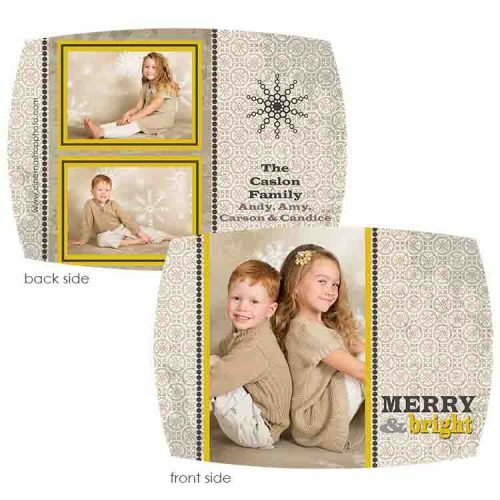 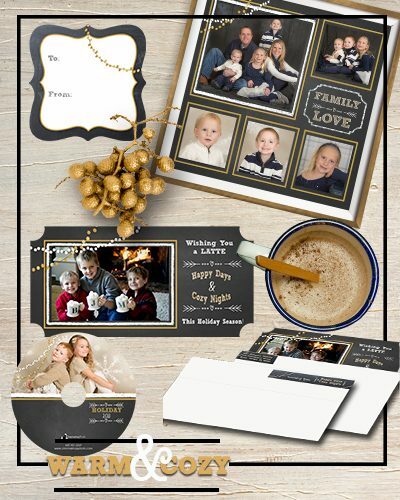 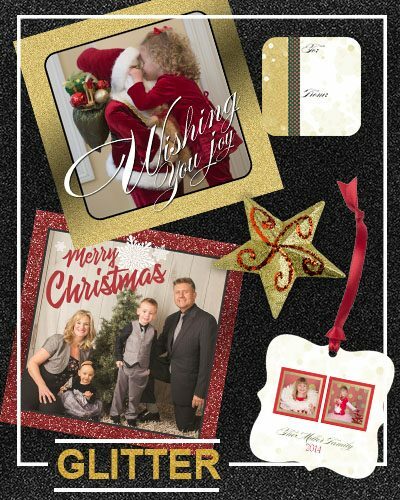 Custom Holiday photo greeting cards. 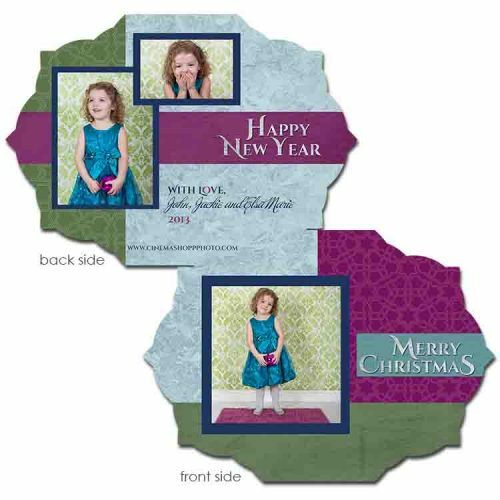 Change colors, text or shape to coordinate with your photos. 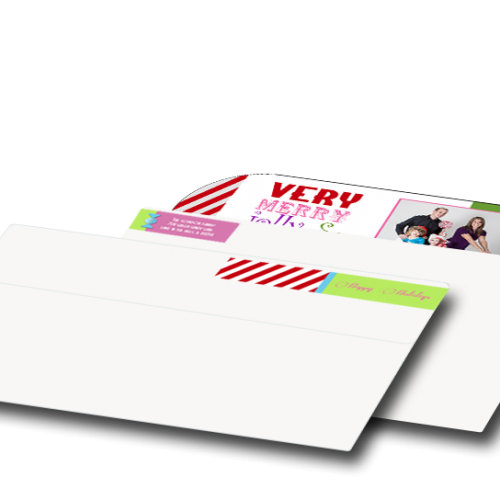 Standard envelopes included or upgrade to color options.